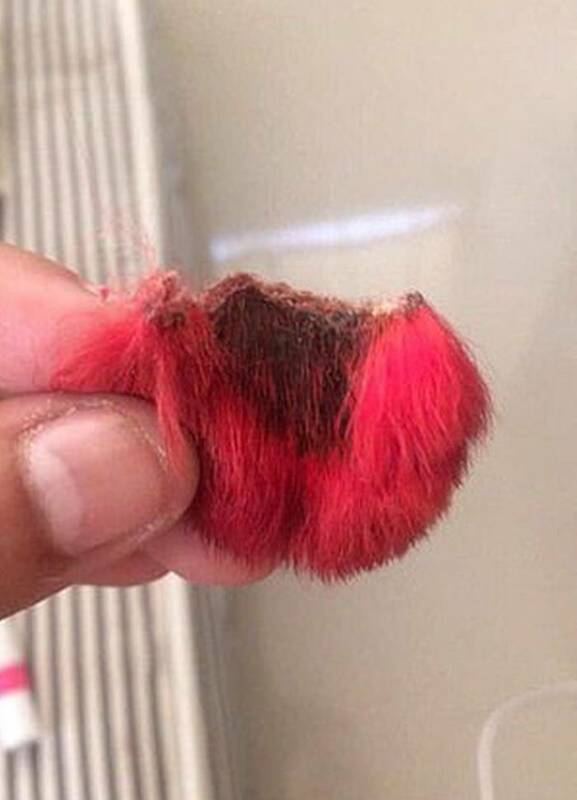 Pet owners love to flaunt their furballs every now and then. And, some of them go beyond their limits to do so. One such example of a pet owner who went too far to show off her puppy’s beauty resulting in a huge loss is doing rounds on the internet lately. 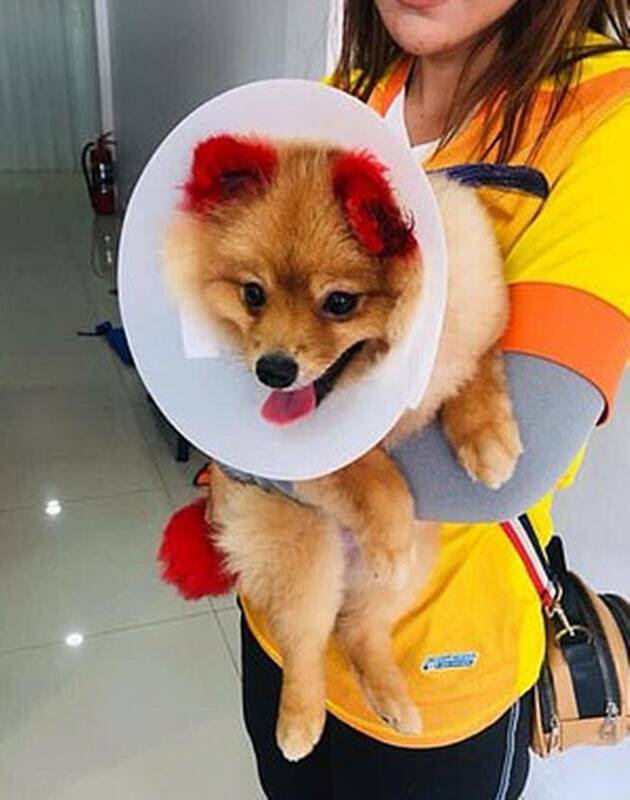 A Thai woman decided to get the tail and ears of her Pomeranian, Diffy colored bright red. Accordingly, she took her pooch to a salon in Hua Hin, eastern Thailand earlier this year. The beauticians at the grooming salon carried out a foiled dye on Diffy’s fur for about 40 minutes. As soon as the procedure ended the pup’s ear looked drooped instead of standing straight like they normally were. The dog owner spoke to the salon people about the same who assured that the pet’s ears would be normal in 2-3 days. The pet owner couldn’t see any recovery in Diffy’s ears and only its conditioned went on to worsen. Diffy also suffered from itchy skin apparently as a result of some allergic reaction due to the chemicals present in the dye. In order to seek help from the internet, the unnamed pet owner posted her decline on social media. She further wrote, “They were folded down. The stylist said that I have to wait for two or three days and his ears will recover. Has anybody experienced this before?”, reported Daily Mail. “Diffy’s left ear is now falling off because of the colour dye. The pet groomer put too much dye on him. My dog’s ear was itchy, burnt, turned black, cracked, and eventually fell off. I don’t blame the grooming store but I blame myself for wanting to have his ears dyed,” said the woman. The internet could not take the pet owner’s cruelty lightly and slammed the woman for her foolishness. The irresponsibility of pet owner had cost Diffy her ear. Every pet owner should take a lesson from this incident and do not mess with the furry pets by dying them in artificial colors.